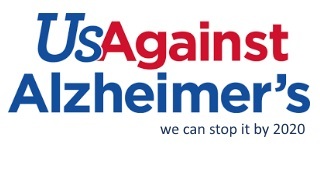 UsAgainstAlzheimer’s is an entrepreneurial and disruptive organization demanding a solution to Alzheimer’s by 2020. Driven by the suffering of millions of families, UsAgainstAlzheimer’s presses for greater urgency from government, industry and the scientific community in the quest for an Alzheimer’s cure — accomplishing this through effective leadership, collaborative advocacy, and strategic investments. How Close Are We to an Approved Treatment for Alzheimer’s? Have you had ‘The Conversation’? End-of-life Choices: Be Proactive. Could Re-purposing Drugs Help Us Find a Treatment for Alzheimer’s? Rediscovering My Father, Sargent Shriver. A conversation with Mark Shriver. What’s in the New National Alzheimer’s Plan to Stop Alzheimer’s by 2025?